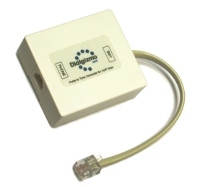 Buy a Dialgizmo Pulse to Tone converter online, internaltional shipping! We use Paypal for all orders and payments. Click the "Buy Now" button below and then follow the PayPal process. Make sure you have your correct shipping address and contact email or we wont know where to send your order! We ship by Worldwide Express Post every weekday and delivery generally takes 3 to 7 working days. Note that all prices are in USD! If you don't have a PayPal account then don't worry. You can just enter use your credit card details securely via the PayPal site without creating an account.